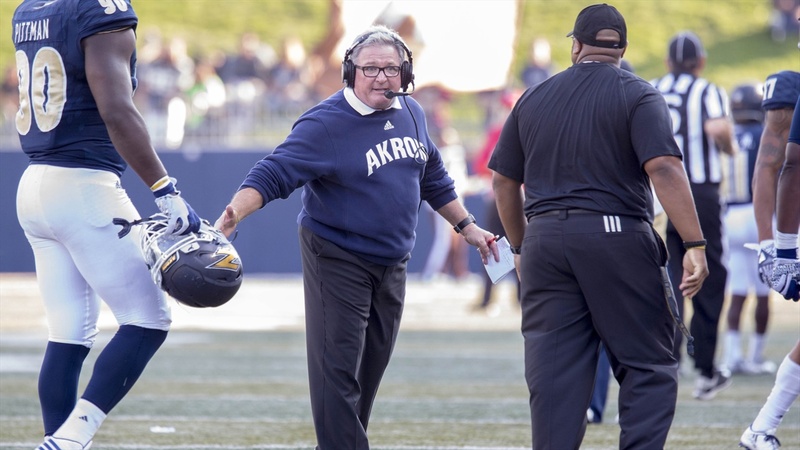 "Nebraska has hired one of the bright young coaches in the country to come back to his alma mater and it'll be an electric crowd," Akron coach Terry Bowden said. "It will be an electric night." Bowden should know. He was once that bright young coach. Sharp guy, too. After his playing days at West Virginia were over, Bowden studied at Oxford and went on to earn a law degree from Florida State. He knocked all of that out before becoming a head coach at the age of 26. He engineered a turnaround at Salem University in West Virginia, helped Samford make the transition to Division I-AA (now FCS) and that led Bowden to Auburn. The Tigers went 11-0 his first season as Bowden won five national coach-of-the-year awards in 1993. Bowden had a .788 winning percentage at Auburn entering his sixth season, but the Tigers started 1-5 and he resigned. Still strikes me as a bit strange 20 years later, not knowing all of the political wrangling that led to that decision, but I'm not so interested in the fall as the rise. Bowden was once a Scott Frost-type in the coaching profession, and he kept coming back to that during his Monday press conference. "Nebraska, we don't get them at the best of times because you have a new coach who is making a first impression, who's got a lot of excitement, motivation," Bowden said. "His pedigree for championships is solid from playing to coaching and he brings an outstanding scheme to Nebraska. I don't think the'll be talking about Akron all that much on the telecast, though I worked with Tim Brando for six years." Brando is part of the FOX Sports crew broadcasting the game Saturday night. Normally I wouldn't recommend watching the opposing team's press conference to anyone but the most obsessed, but as I was watching it I realized I really enjoy listening to Bowden talk about college football. He, of course, had a unique perspective on the game growing up in the family he did –– and man does he sound exactly like Bobby Bowden –– but beyond that he's also been a P5 coach and spent a decade covering the game as a columnist, radio host and in-studio analyst. He knows this sport well, and I'm always going to be interested in that. Nice work, Purdue. Is it a bit much? Yes, but college football is really defined by being a bit much. That's why we love it. Here's a full press conference recap from the Akron Beacon Journal. Quarterback transfers are the new normal in college football. In pursuit of a better strength-of-schedule measure. ICYMI: Updates on the Blackshirts, Tyrin Ferguson and JoJo Domann. Also, be sure to check out the latest Lo-Down.